Once the energy begins, the healer or receiver usually notices heat sensation, and this is an identifying characteristic of Reiki. 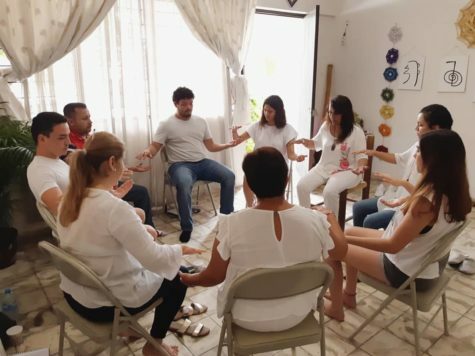 After receiving the Reiki 1 attunement and bringing the energy through for the first time in the classroom, hot hands happen in most healings. 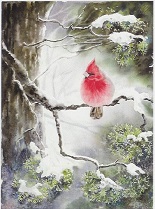 If what the person receiving the healing needs is cold, however, the healer’s hands will give cold. Sometimes the healer feels that the hands are very hot, while the receiver of the energy feels coolness, and vice versa. Every healing position, and every healing session can be different. 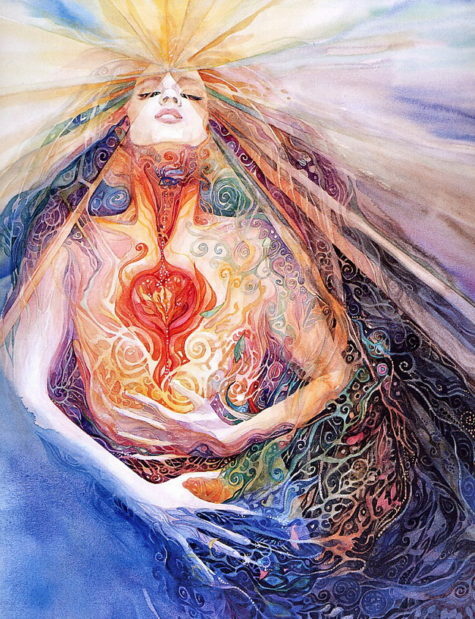 When the hands are placed on a Reiki position, the healer generally feels a cycle of sensations. Initially, you might feel the warmth of body heat, but as the hands remain in place other feelings begin. 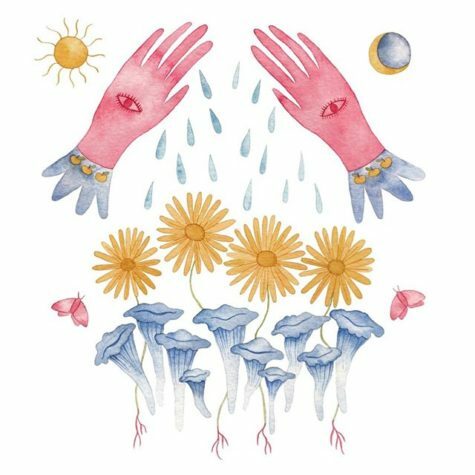 There may be sensations of heat, cold, water flowing, vibrating, trembling, magnetism, static electricity, tingling, color, sound, or (extremely rarely) pain moving through the healer’s hands. The healer may feel as if the hands have gone to sleep, with a pins-and-needles sensation. The person receiving the healing may feel the same things or different ones, or maybe even nothing. The sensations change from position to position, and healing to healing. They are unpredictable, but there is almost always a sensation of some kind. These continue for what at first seems like a long time, generally as long as five minutes. Then the sensations and quiet body warmth returns. This completes the position, and signals the healer to move to the next one. As someone once said, “It goes up, and then it comes down, and then you can move.” I can’t think of a better way to describe what happens. If you don’t move, the cycle simply begins again: body warmth, several minutes of sensations, and body warmth again. Often, a position takes less than the expected five minutes, and this is fine. Go by the feeling in your hands. Unless the receiver of the healing has back trouble, the positions on the back will probably take less time. Occasionally, the sensations seem to go on forever, and the healer’s hands feel glued in place. Continue as long as you need to be there. If your hands feel free to move and the sensations go on and on, however, stay a reasonable time and then move to the next position. More healing needs to be done here, but the pain or problem didn’t develop overnight and one session may not be enough to heal it. This is usually an area or position where much Reiki is needed, but since the full treatment session takes as long as an hour and a half, spending too much time in one place is not beneficial. Honor your intuition, and remember there is no right and wrong. Generally speaking, the sensations are less distinct, or less intense, in self-healing than in healing others. There are many different interpretations of the exact nature of the sensations, that cold means this thing and hot means something else entirely. In my experience, the sensations vary from person to person, session to session, need to need, and putting an arbitrary meaning on a particular feeling can be misleading. It’s best to focus on allowing the energy to flow rather than on analyzing the feel of that flow. Too much thinking can pull you out of that intuitive heartfelt healing moment and put you into a space of judgment and analysis which may or may not be helpful. The Hara is the physical midpoint of the human body, and the spiritual center of the human being. Located below the belly button and a little way into the body, it’s equidistant to the feet and the head, making it a natural place to be in balance, or regain balance. Physically it’s our center of gravity. Because it’s a vibrational center, the Hara is also our spiritual center. 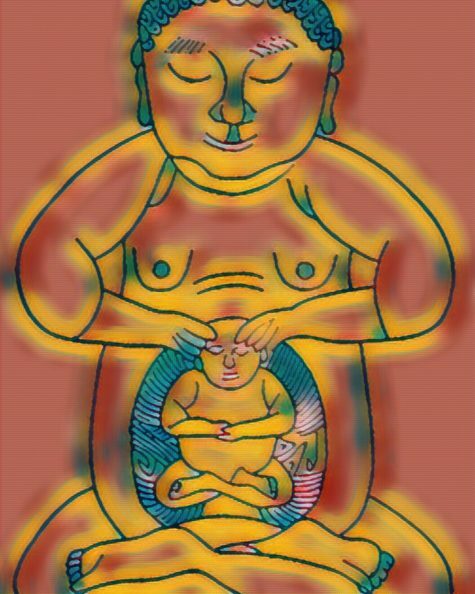 The hara is the area of your lower abdominal region below your navel. This area contains the tanden which is your center of gravity. The center of gravity is located approximately 2 inches below the navel and 1/3 the distance from the front of your body to the back of your body. You may say that it is an organ not yet discovered by the west. It can’t be seen, however it can be felt. 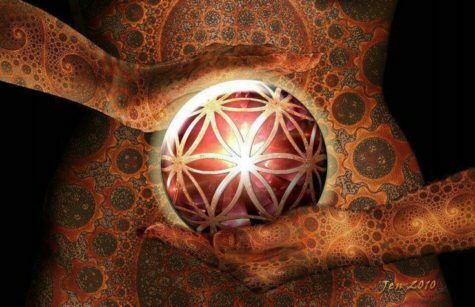 It has always been inside of you, but remains dormant unless you know to access it. It is said that Ki is moved by the mind “… where the attention goes, ki flows…” To effortlessly focus the awareness is to place one’s energy there. 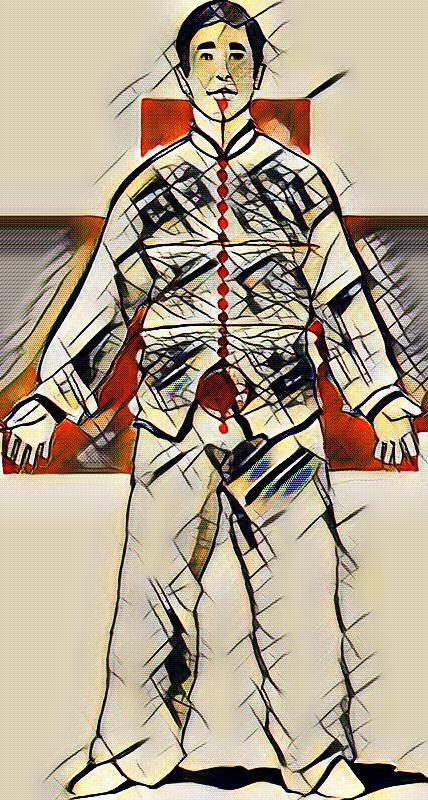 By placing effortless emphasis and energy at this area in the lower abdomen, integration of body and mind is deepened and strengthened, and the Spirit is dynamically grounded in the Present Moment. The internal arts, which consist of modalities like yoga, meditation and tai chi place special emphasis on this point. It is the road leading to the full development of the human being and the home of your intuitive judgement among other things. It is developed by sitting in meditation and focusing the mind on the area of the tanden. The body is fully relaxed in a seated meditative posture with a straight spine. This can be accomplished by sitting in a cross legged position with the back resting against the wall, or on a straight backed chair. It can also be accessed by standing for long periods of time with your feet in a hip width stance or focusing on it while moving thru the tai chi form. In time you will feel like you have a thick rubberband gradually starting to fill with a liquid which feels like sparkling air. This is an occasion for celebration and the beginning of your relationship with the universe and yourself. Soon the energy felt in the tanden will start to circulate throughout your body. It is called chi and is the internal energy which runs your body. It will always be present and gives you a point to which you can focus as you move thru your daily life experience. It is your anchor with the universe and is often referred to as a gut feeling with respect to your intuitive judgement. 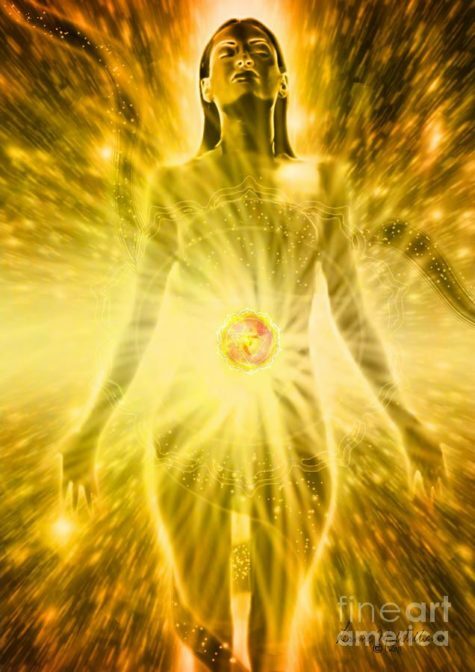 The chi or internal energy gradually moves down under the pelvic floor and up the spine to the top of the head moving along what is called the microcosmic orbit. My teacher always referred to it as an energy intelligence as it now moves to open the energy pathways of the body commonly called meridians. These energy pathways form the basis of acupuncture points leading too the organs which are now charged with new energy enabling them to secrete the hormones which run the body. In order to feel your relationship with the universe, you can again sit in meditation and focus on the breath. Gradually you will feel where the breath starts the inhale and the place where it starts to exhale. The inhale starts at the tanden filling the hara and starts at the exhale at the heart center. Soon you will feel that the universe is breathing you as you focus on your breath. Then you will start to experience that link to the universe or nature. The word hara means belly in Japanese, the area of the body bounded by the lower ribcage and pelvic bowl. It has significance in this regard, as well as vibrationally. This area is also part of oxygen-rich blood and nutrition reaching a growing fetus through the umbilical cord, and waste removal in the same way. The exact location of the Hara is known as tanden in Japan. It is the place where the ki of the organs and meridians of the entire body pool in the lower tanden, like a vast storehouse of power. Tanden means “red rice field” or “red field.” This indicates a vast amount of powerful life force since rice is a primary source of nutrition and this is a whole field of it, glowing in red. There’s another, invisible aspect to the Hara. At birth the physical umbilical cord between the baby and the mother is removed. The baby begins breathing on its own and taking in nutrition through the mouth. 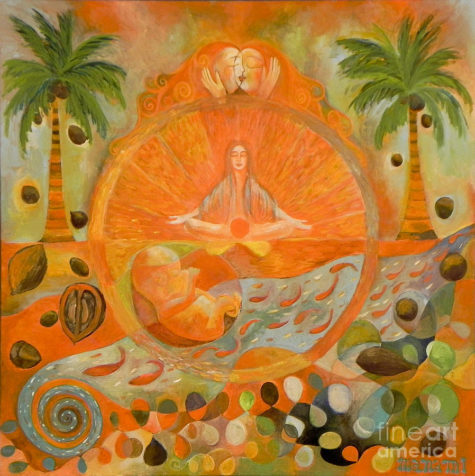 There also remains a vibrational connection between the baby’s navel and the earth and universe. In fact multiple nonphysical cords continue to be active between the human being and all of life. The earth and universe feeds us both biologically and spiritually through the Hara for the entirety of our life. We’re also in relationship to all of life from the same location. It’s a constant loop of resonance and reciprocity. We can actually experience the Oneness of life in the Hara and be able to truly embody it. The Hara gives us a way of being in the world without attempting to escape it, and also returning to a wholesome relationship with the Earth. 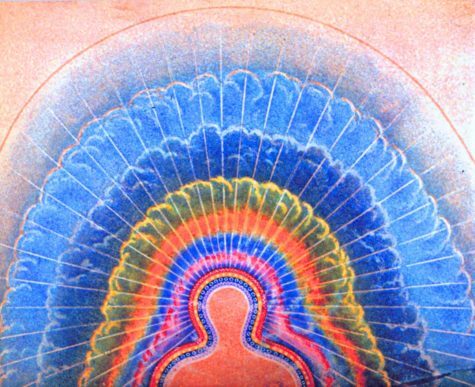 Spiritually, we’re able to deepen and develop our essential oneness with all of life as the realizations of the Hara filter into our consciousness. Breathing technique to purify the spirit. This technique magnifies your Reiki energy and helps you feel like a piece of hollow bamboo – a clear channel for energy. When practicing this, you will realize that energy does not belong to us. It is simply the all-pervading force that makes everything pulsate with life. With practice, you will find that the forces you thought to be your own personal energy melt and merge with the cosmic energy within your body-mind system. Then it becomes exceedingly difficult to draw the line between where the universe ends and “I” begin. Stand in a comfortable position, feet shoulder-width apart. Release all the tension in your body and think of something pleasant. Let your mouth open slightly. Rest your tongue on the roof of your mouth as you inhale. Exhale through your mouth, and let your tongue come down naturally as you do this. Bend your knees in slow motion while focusing your attention on your lower abdomen. Do each step very, very slowly. Suddenly you will become aware of a point in your lower abdomen, 2 or 3 fingers below the navel. It is where your life force dwells, the center of your being. This is called the Tanden. It may help to put one or both of your hands on your lower abdomen and breathe into the spot you are touching. Inhale through your nose, and imagine drawing Reiki energy into your body through your crown chakra. Pull the energy down to your Tanden. When the energy reaches your Tanden, keep the energy there for a few seconds without straining yourself. 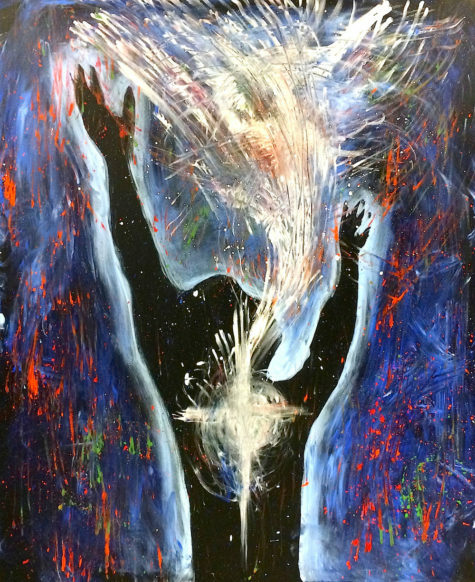 Visualize how this breath is expanding and permeating your entire body. Then exhale through your mouth and imagine the energy flowing out through your fingertips, your hand chakras, the tips of your toes and your foot chakras. Continue for 5 or 10 minutes. Many people find that if they rub their hands together vigorously first they can feel energy more easily. After rubbing your hands together vigorously to sensitize them if this helps you be more aware of energy. Run your hands over your own body or that of the person wanting a treatment holding your hands about an inch away from the physical body. 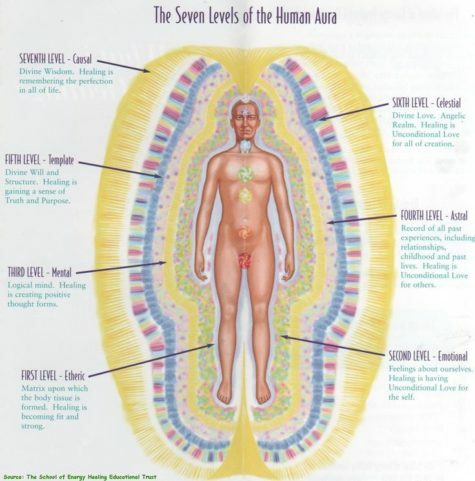 Feel for hot and cold spots in the energy field. Pull out and throw away anything you feel intuitively that you should pull out and envision healing light filling any place where you remove blocks or that feels empty or that you feel needs it. Combing and fluffing the aura with your fingers as though combing hair can also help clear and lighten the aura. 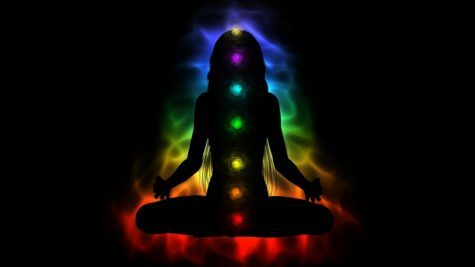 You can also feel for the energy of the Chakras and encourage them to be open and clear and be well seated in the central energy channel. If you feel sticky or dark energy as you do this you can give it to Spirit, the Light, Earth to be transformed. In addition to pulling out blocks and overcharges in the energy field. 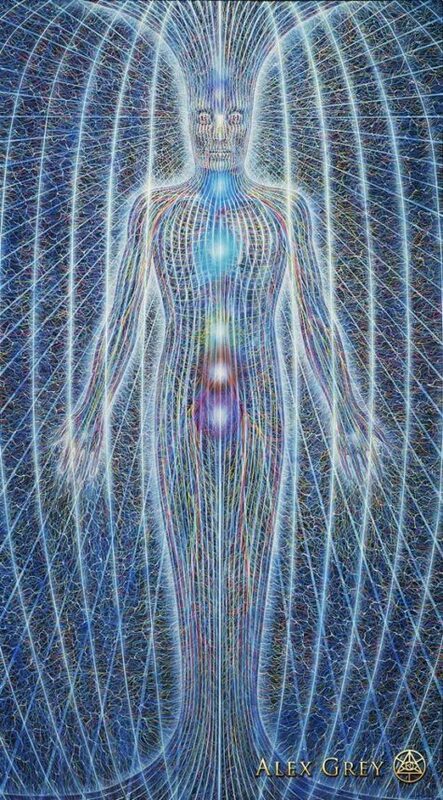 Visualize and allow spiritual healing energy to flow freely and fill and charge the person or other, being treated do not try to do anything just allow it to happen. 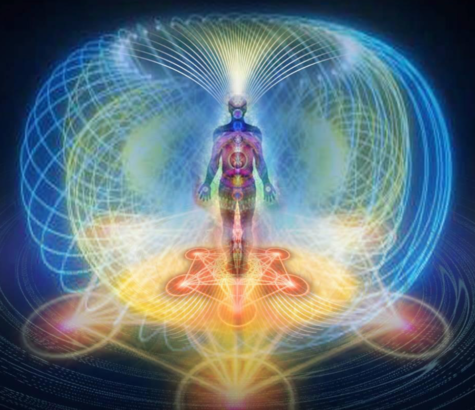 When you visualize spiritual healing energy, you are not using your own personal energy. This is an even more powerful exercise if you are attuned to Reiki and using the Reiki energy for clearing and healing. Using the universal spiritual healing energy is more effective in any case. There is a wonderful meditational exercise called Earth Walking posted in The Book of Shadows that I believe is very helpful in healing work. Particularly when it comes to healing yourself. It can be found here: Earth Walking. This is also an excellent way to ground yourself and release an excess of built up energy after attunements, healing sessions, and other energy work. Why should you walk barefoot? Walking barefoot, also called “earthing,” is getting some positive reviews in the scientific world. A review published in the Journal of Environmental and Public Health looked at a number of studies that highlight how drawing electrons from the earth improves health. In one, chronic pain patients using grounded carbon fiber mattresses slept better and experienced less pain. Another study found that earthing changed the electrical activity in the brain, as measured by electroencephalograms. Other research found that grounding benefited skin conductivity, moderated heart rate variability, improved glucose regulation, reduced stress and boosted immunity. Earthing increases the surface charge of red blood cells. As a result, the cells avoid clumping, which decreases blood viscosity. High viscosity is a significant factor in heart disease, which is why so many people take blood thinning aspirin each day to improve their heart health. Another study in the same journal found that earthing may help regulate both the endocrine and nervous systems. The earth walking exercise expands your experience beyond the realm of personal energy and into the feelings of Earth energy. Our ancestors slept on the Earth and exchanged energy with it every day. Most people barely touch the Earth now, with the ubiquity of shoes and floors. Earth walking helps us come back into balance with the energy field of the Earth. Like your ball of energy in Exercise #2 was an exercise in control, with this next experience, you will learn how your energy can affect and influence other people in very subtle ways. Again you will need a partner. 1) Stand facing each other, with only a few feet between you. The receptive partner should have their eyes closed. Make sure this person is standing up straight, but is not braced against any structures. 2) You then try to use your willpower, breath, and intent to “push” your personal energy out and influence your partner. Use a gathering motion in the space around you to gather your personal energy as you inhale. Use pushing motions as you gently exhale, sending the energy toward your partner. 3) Take notice of your partner. If there is a third person in the room, this person might notice the action more than either of the exercise partners. Usually the receptive partner looks like they are swaying back, even if they do not consciously feel it. 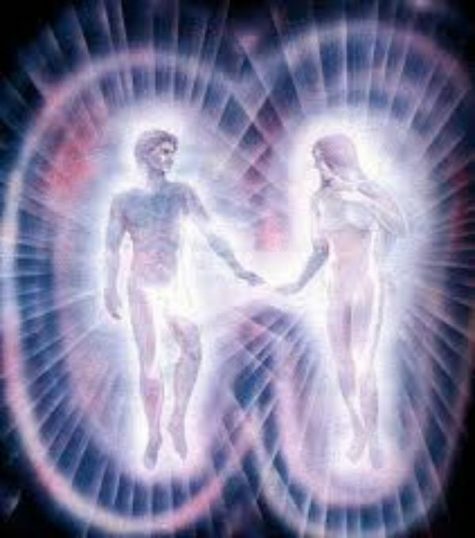 4) Reverse the process by gathering the energy between you both, and pull the energy forward with your intention. Inhale and sweep your arms toward your body as you bring the energy closer. You may notice your partner pulling forward a bit. Repeat these steps several times until you feel comfortable with them. Then ask your partner, still with eyes closed, what they are feeling.